I work on my feet all day as a professional auto tech and these are the only boots I can wear without serious foot pain. I have worn out 3 pairs of these over the years. They last well and are water proof. Founded on quality craftsmanship and constant innovation, Wolverine has been developing and manufacturing industry-leading work boots and shoes since 1883. From the beginning, the company set itself apart from the competition with its advancements in footwear production. In the early 1900s, Wolverine began processing shell horsehide in a way that made it more pliable and softer than any other tannery could achieve at the time. Today, the company continues to incorporate cutting-edge technology into its footwear for durability and performance on the job. Carbonmax safety toes are lighter than most protective toes without sacrificing durability, while the Durashock sole construction provides shock absorption and dependable traction. You also can find clothing built with the same commitment to quality and performance. 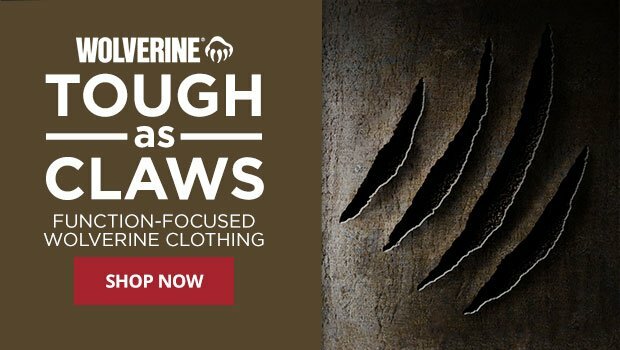 When it comes to function-focused, comfortable work gear, Wolverine can’t be beat.